On Tuesday morning the team left Shira Camp and began the six-mile hike to Moir Camp, 13,650 feet. 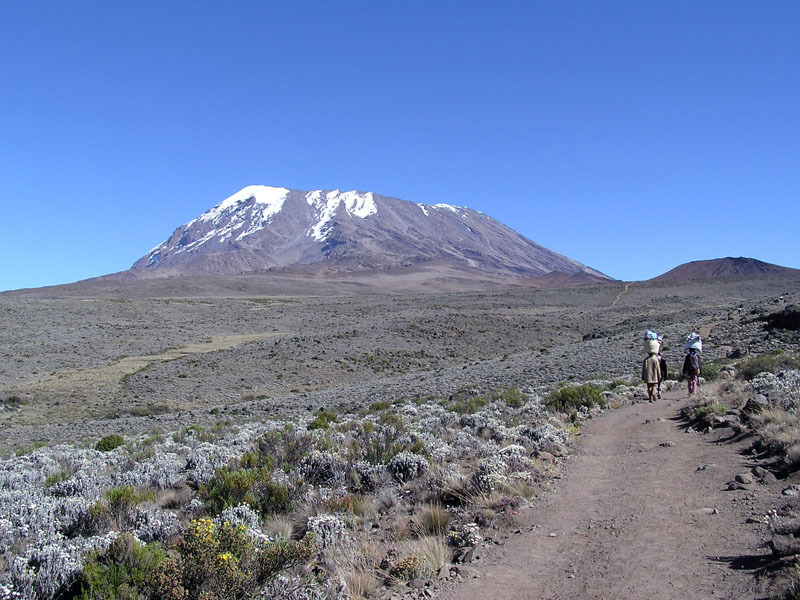 They trekked about seven hours east toward Kibo’s glaciated peak (see photo below) and arrived at Moir Camp situated in a vast gorge near massive beds of volcanic rock. 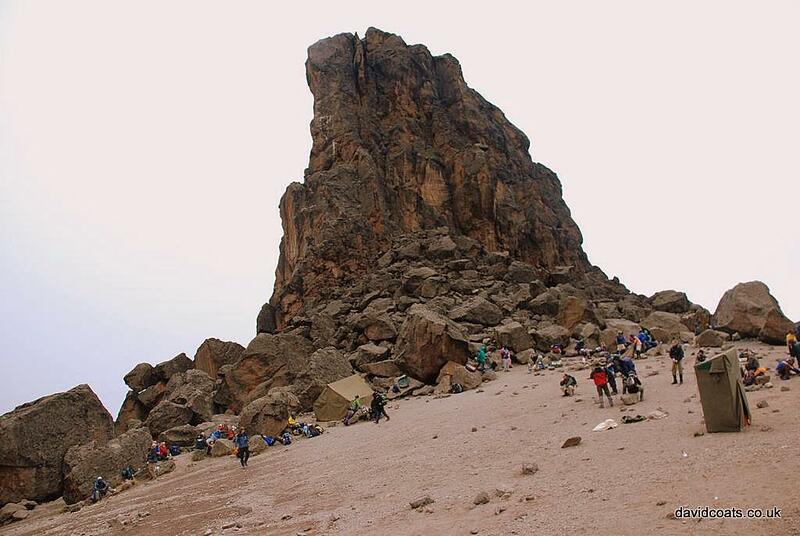 Today, the team left Moir Camp and climbed to the base of Lava Tower (below), 15,000 feet. After a nice break under the tower, they then descended upon the enormous Senecio Forest, climbing past waterfalls that led them into Barranco Camp. 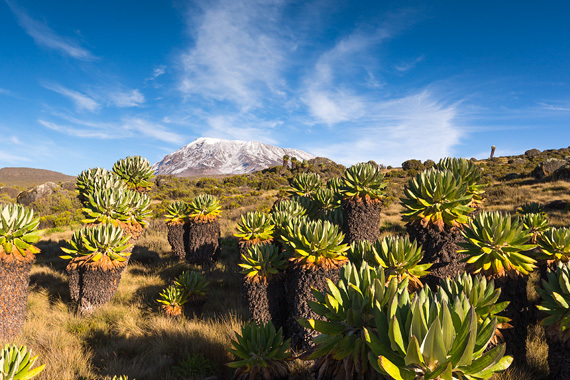 Today was an important day for the Kilimanjaro Warriors to acclimate to the extreme altitude. I’ve received no individual updates on the climbers, but through a vague report, the team is happy and healthy as they enter day five of the climb. Through the ever-changing landscapes to the peak, the journey will only become more strenuous for the team. Through the upcoming days, please continue to send your words of encouragement and support! And as always, please continue to share our story. And if you haven’t found our Facebook page yet, click here for different updates and more information. Awesome landscapes. Keep breathing in and out and looking after one another. Great photos!! You are doing great!!! Steve Martin you are awesome!! Beautiful country!!! You’re all awesome!!!!! Awesome job. Take time to adjust to 13 K feet. That’s pretty high for a sea level dweller like me!